Whisk together eggs and milk and season with salt and pepper. Dip bread slices in the egg mixture until completely coated. Let sit in the egg mixture for a few minutes. Cook the bacon in a large cast iron skillet in batches over medium heat until crisp. Draining on paper towel lined plate. Pour out the bacon fat and reserve for another use. Wipe skillet clean with a paper towel. Melt half the ghee over medium heat. Add half the bread slices and cook until golden, about 3 minutes. Flip and cook the other side. Transfer to a plate and keep warm. Melt remaining ghee and cook remaining bread slices. 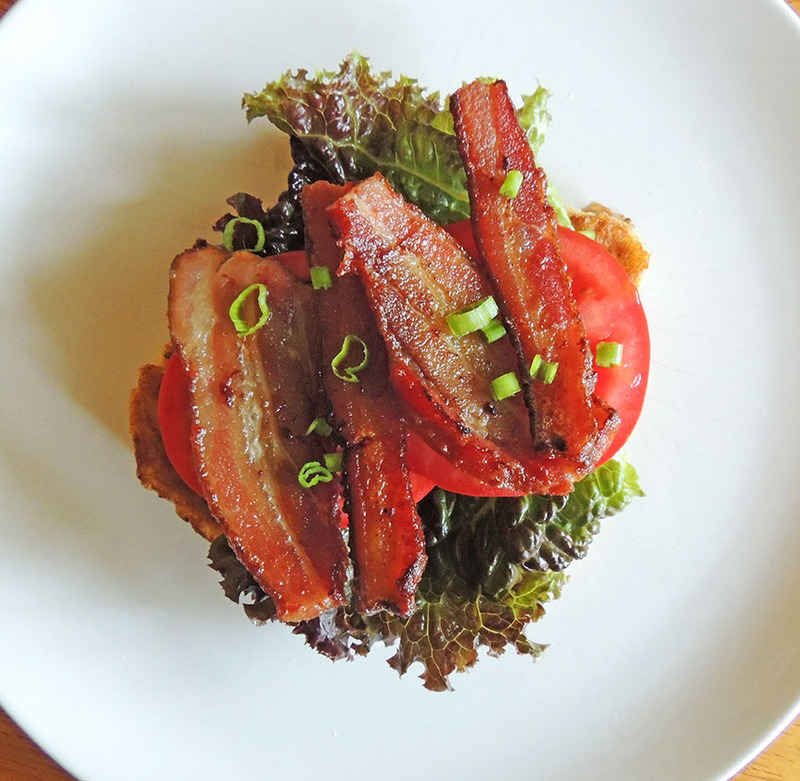 Divide slices of bread between 4 plates, top each slice with lettuce leaves, followed by a slice or two of tomato and two pieces of bacon. Season each plate with salt and pepper and garnish with green onion. Serves 2.